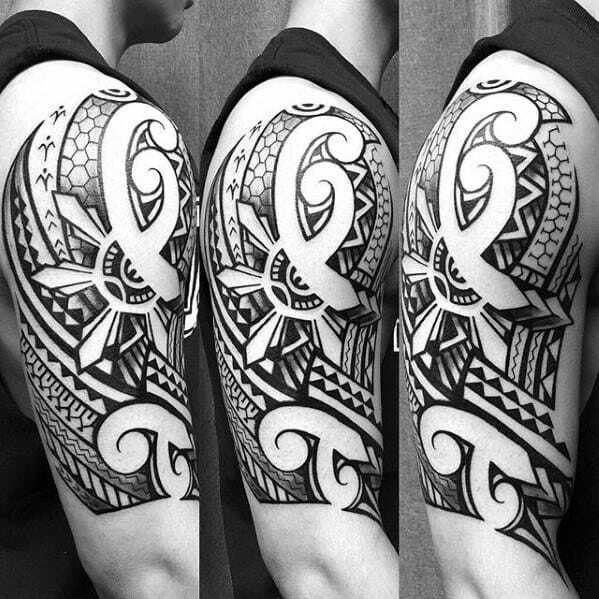 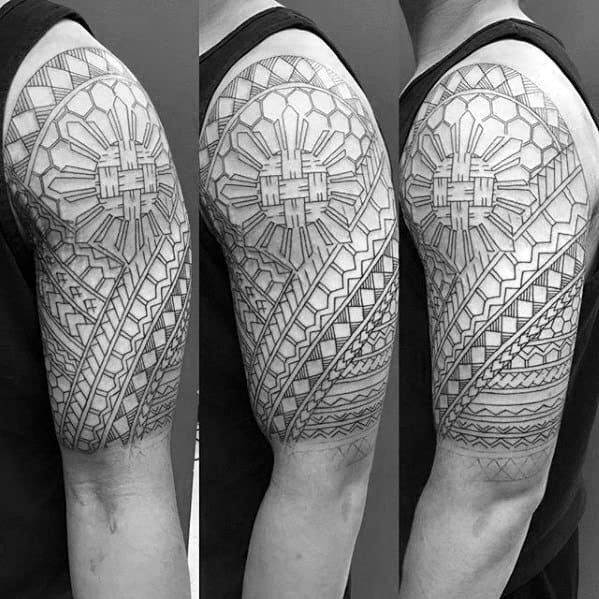 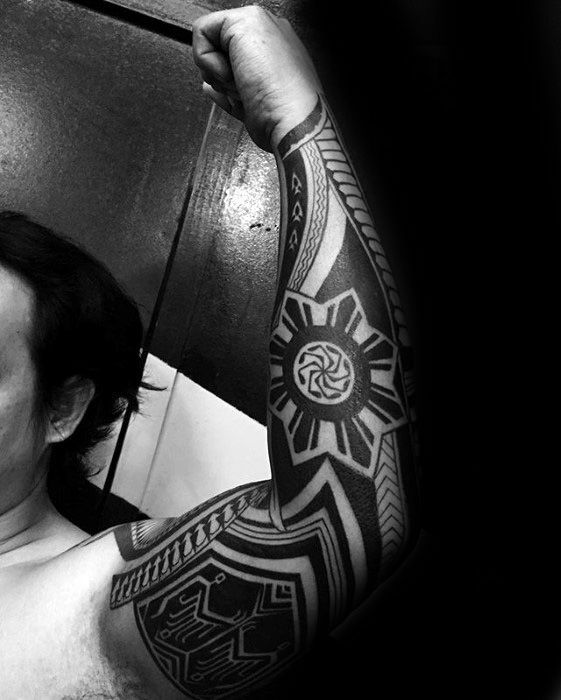 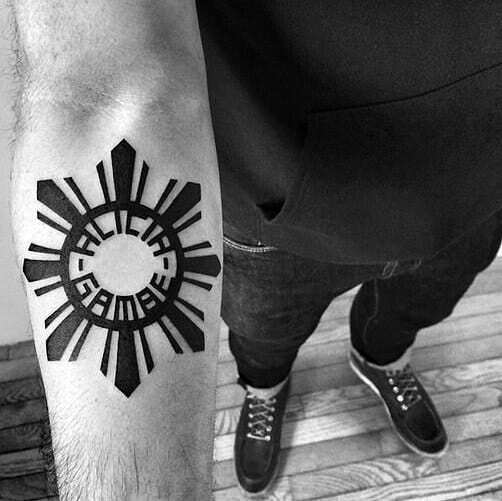 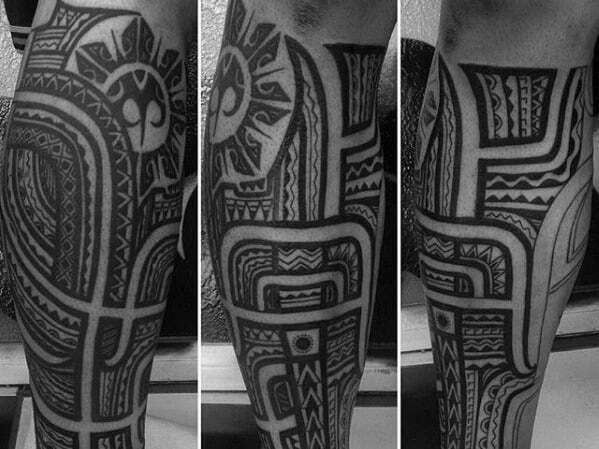 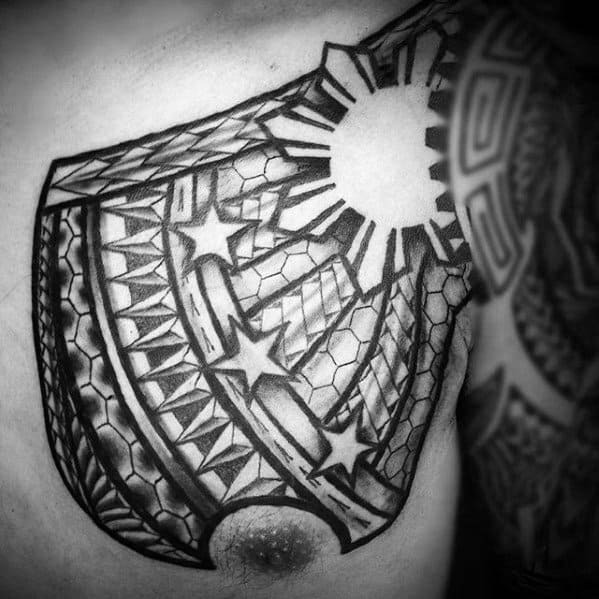 Filipino tattoos have a rich history among the Philippine people. 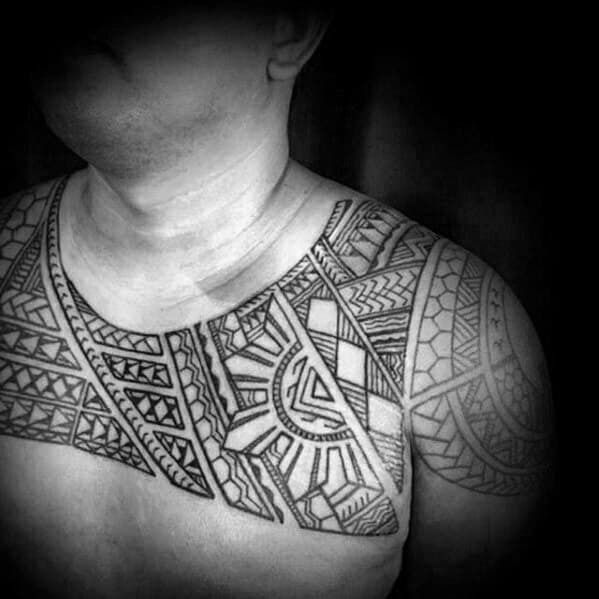 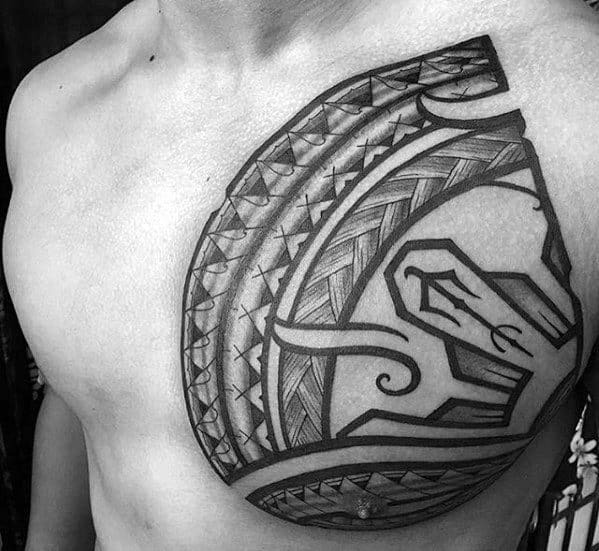 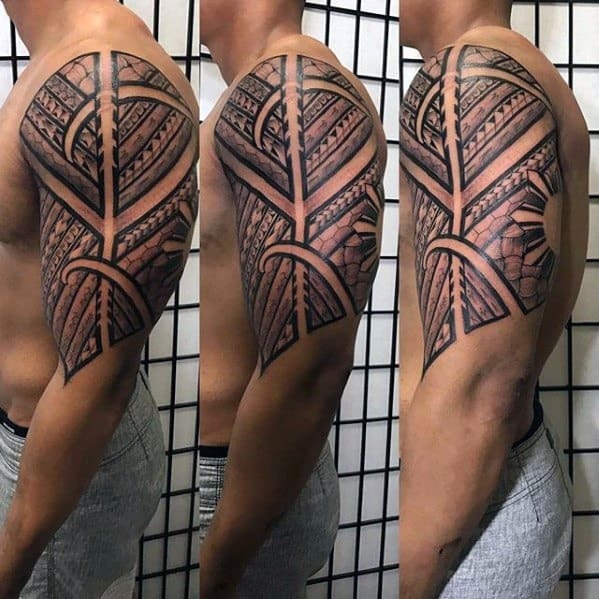 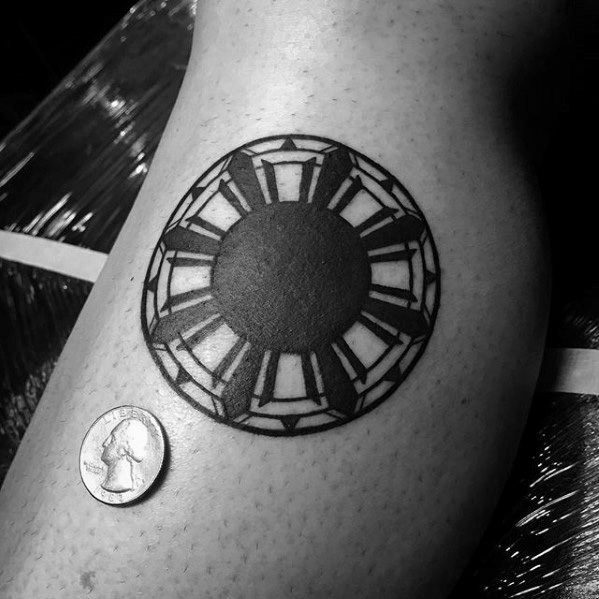 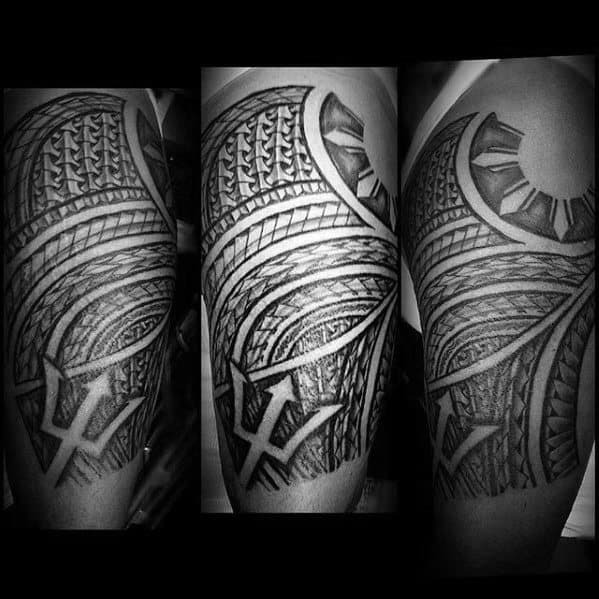 From accomplishments and ranks in tribes, to connecting with one’s linage, these tattoos hold deep meaning. 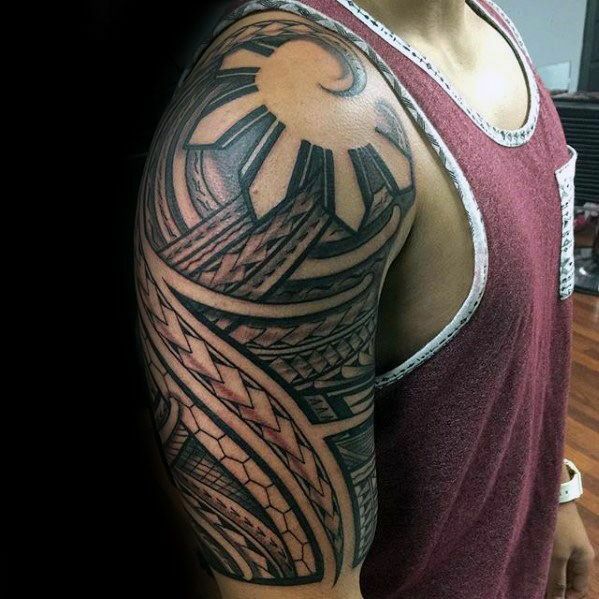 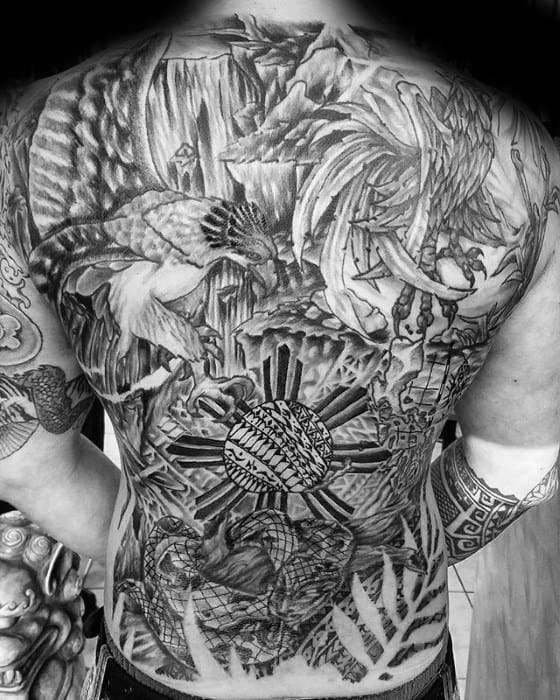 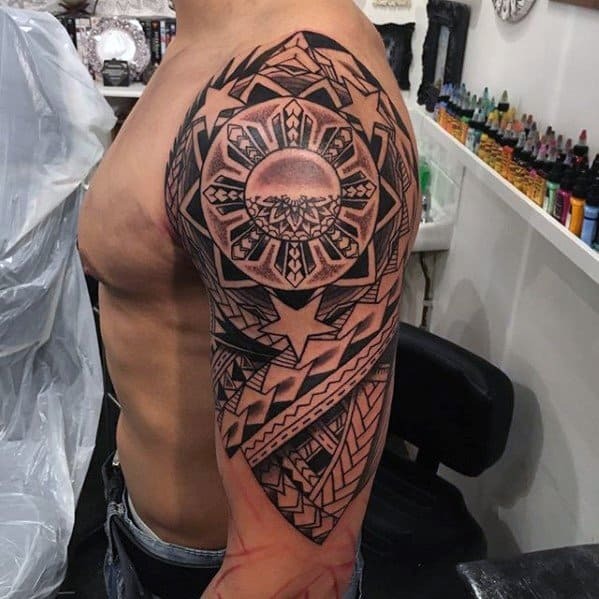 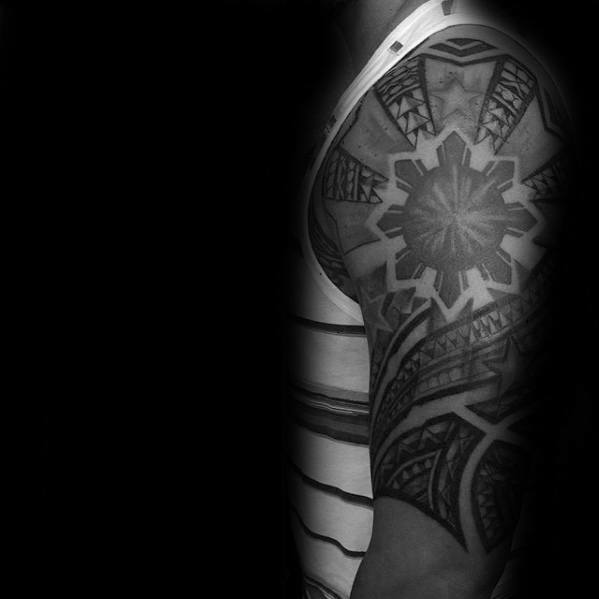 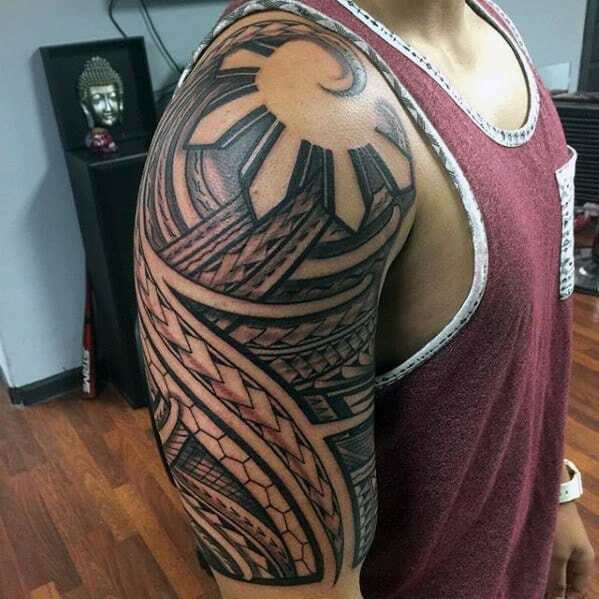 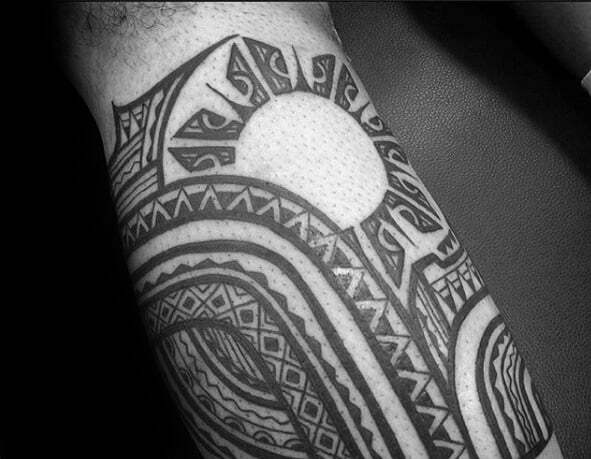 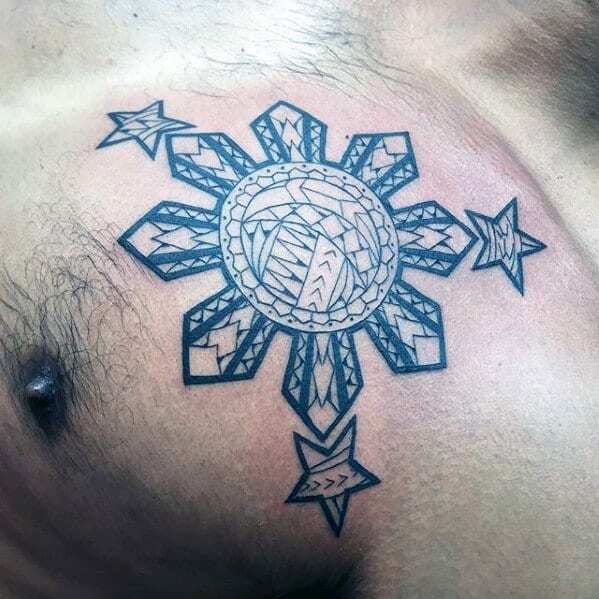 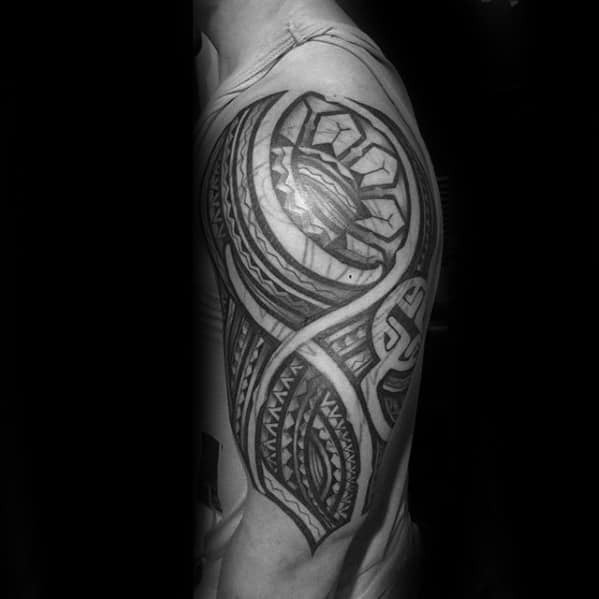 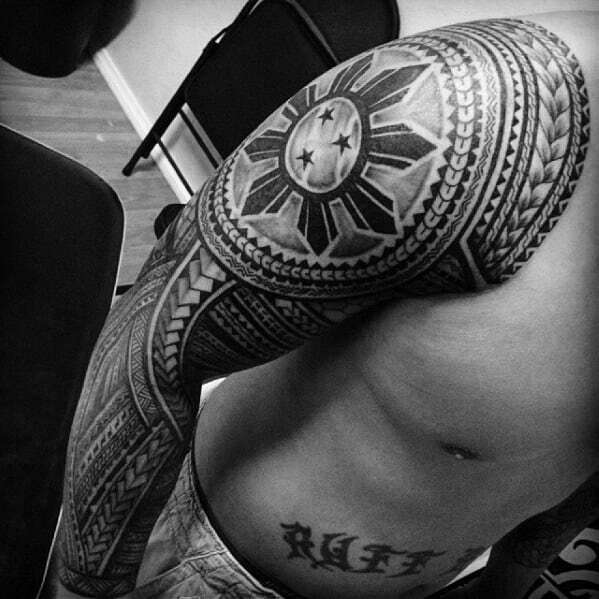 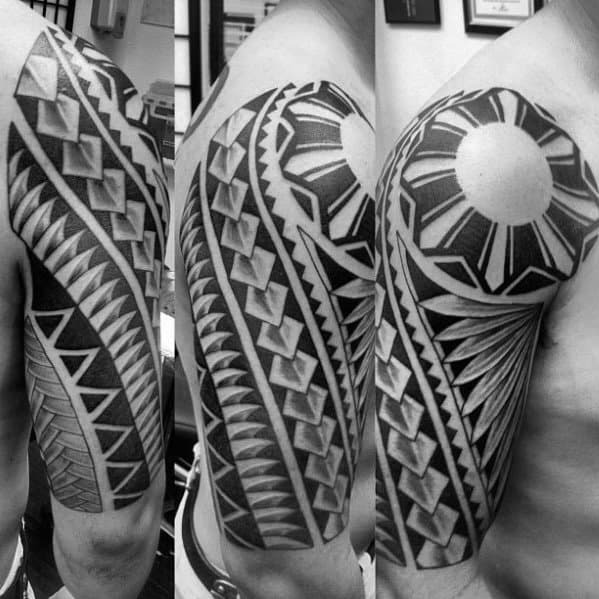 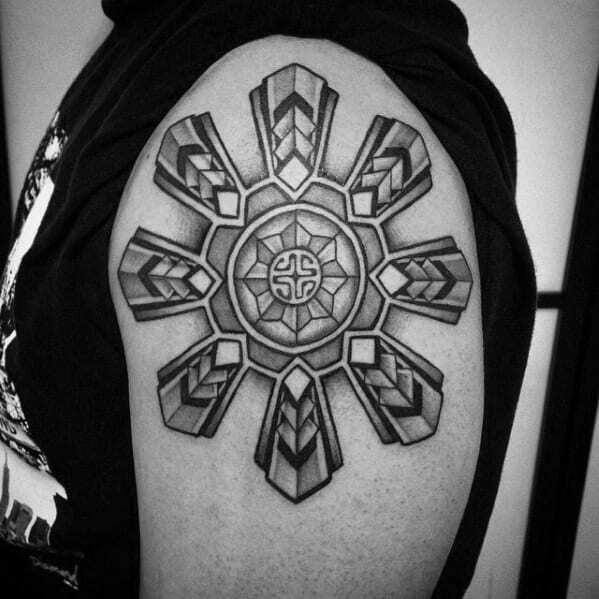 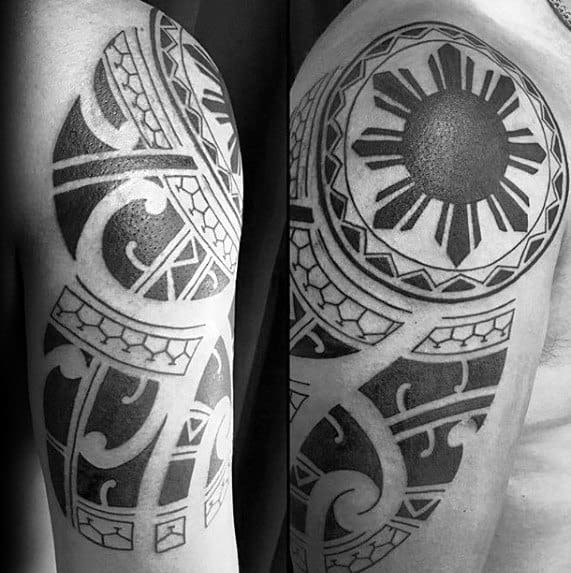 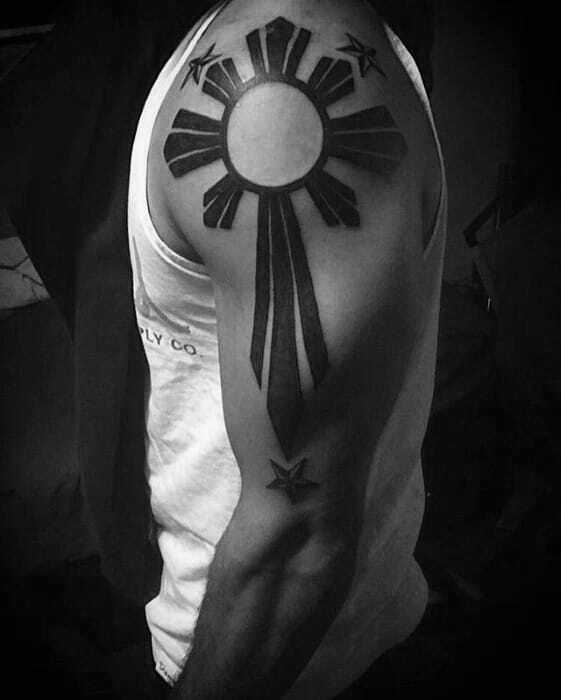 The Filipino Sun is one of the more popular tattoos seen decorating bodies. 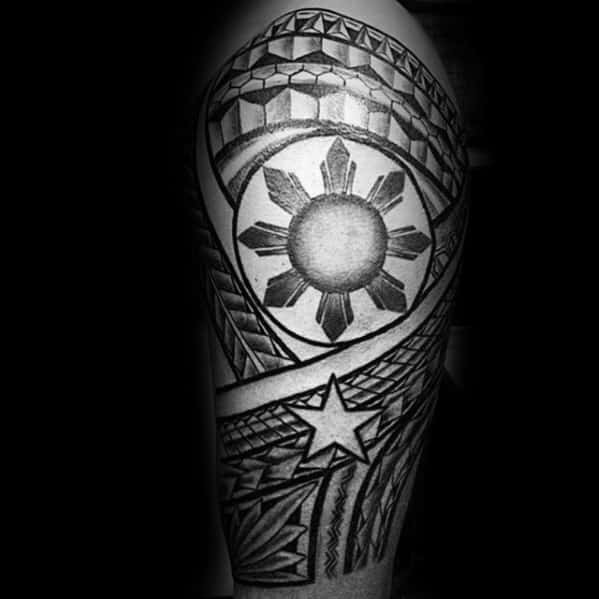 Although it’s grown famous across the world, it is still prominent with those of heritage from the Philippines. 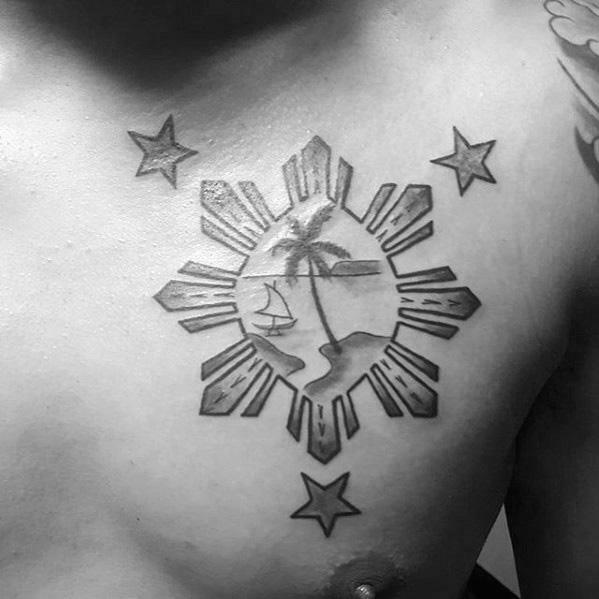 It is truly significant, serving to represent freedom and unity. 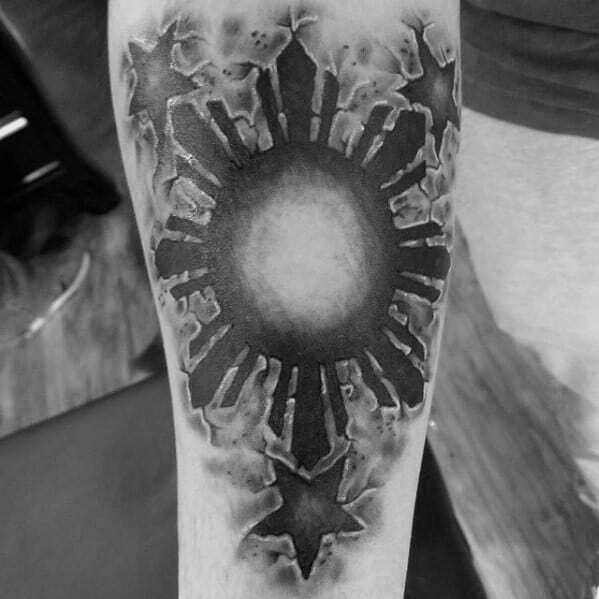 From an appearance standpoint, the sun is an enticing and powerful piece. 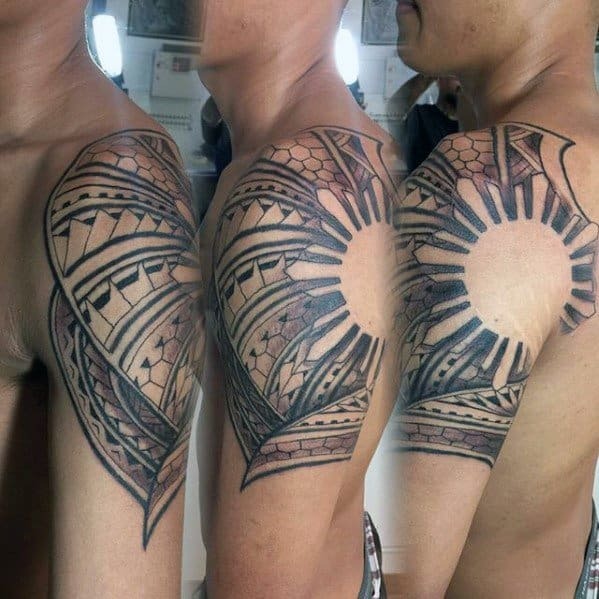 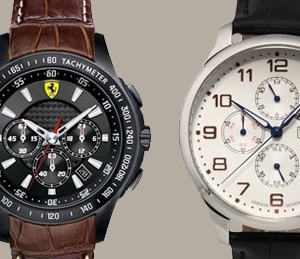 It’s usually designed with the traditional eight rays or with a more erroneous approach. 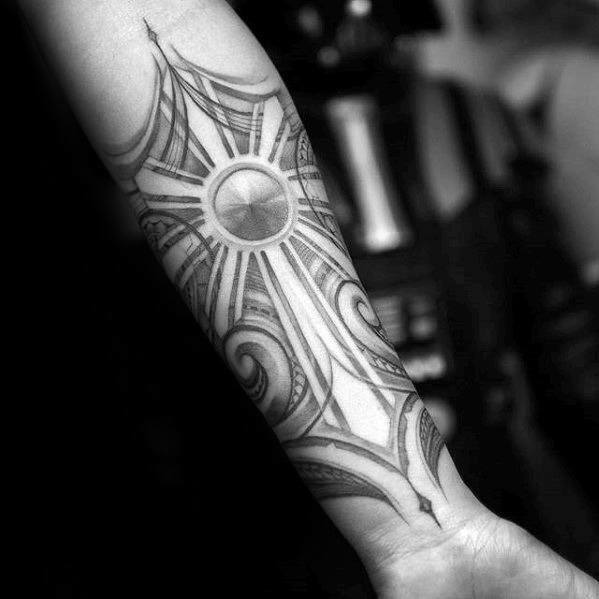 The other approach incorporates several small rays between the larger eight rays. 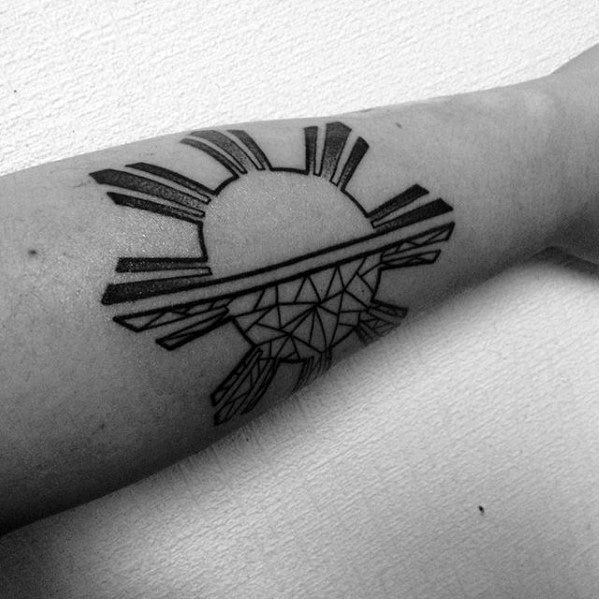 Many have embraced this sun as a standalone piece, a prevalent work of art that is prominent in its own right. 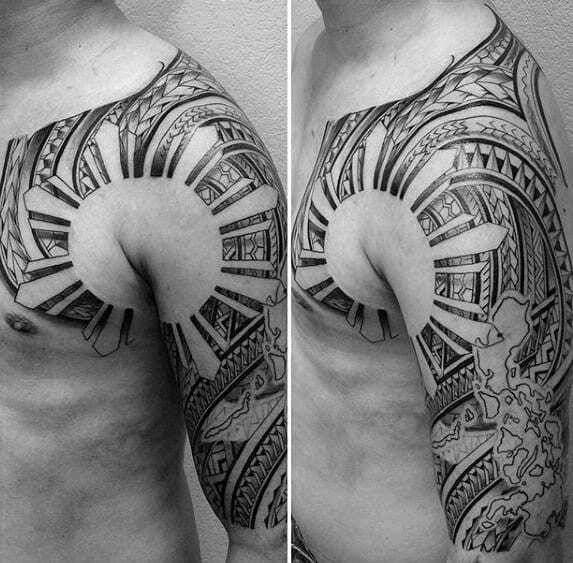 You can also add fascinating embellishments to it to make it pop even more. 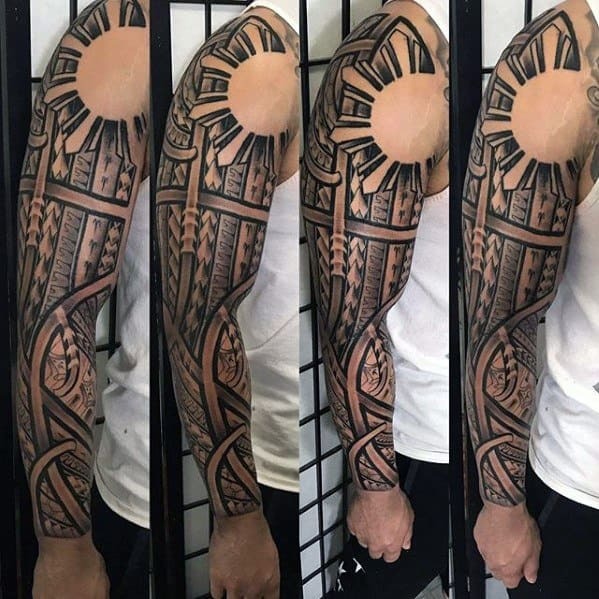 Pairing it with some remarkable tribal patterns is a favored approach, especially if you want to stick to the Filipino theme. 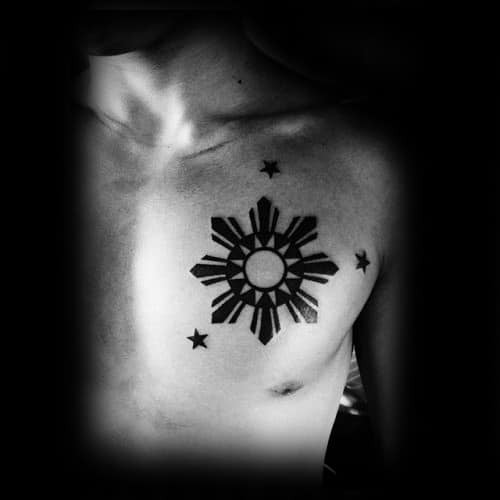 One of the best things about the Filipino sun is that it can be placed just about anywhere. 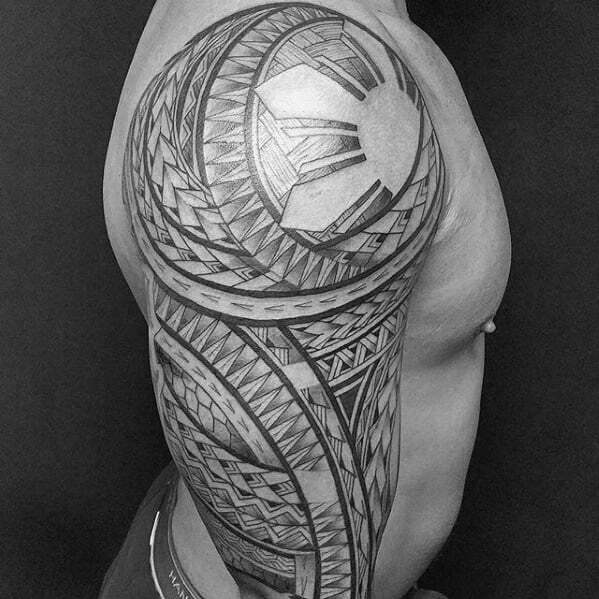 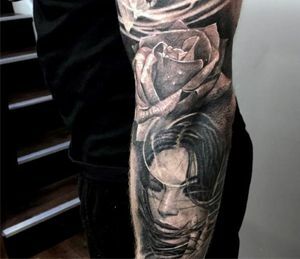 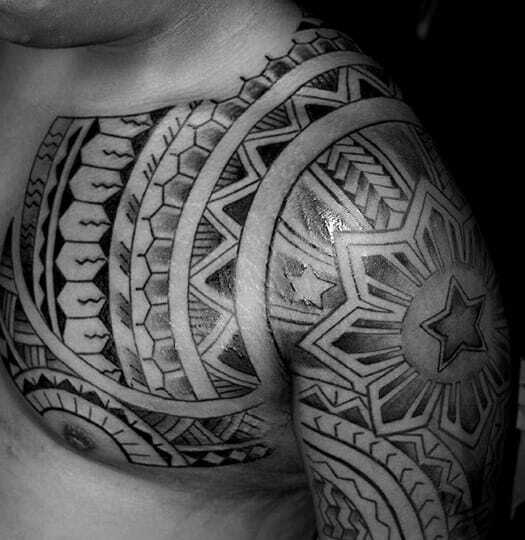 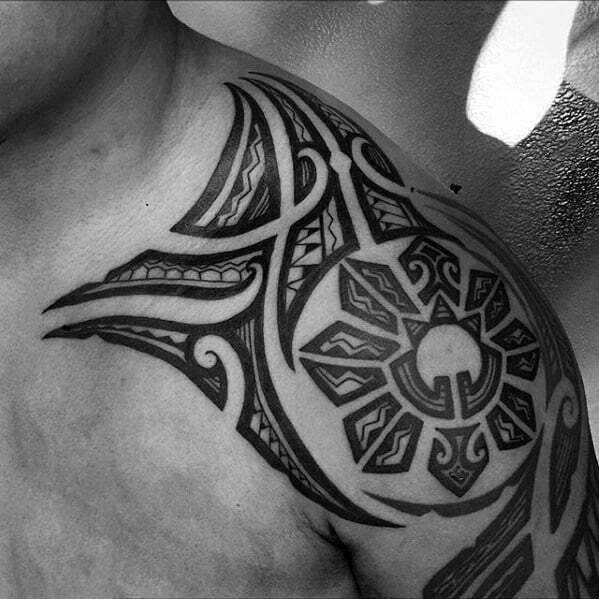 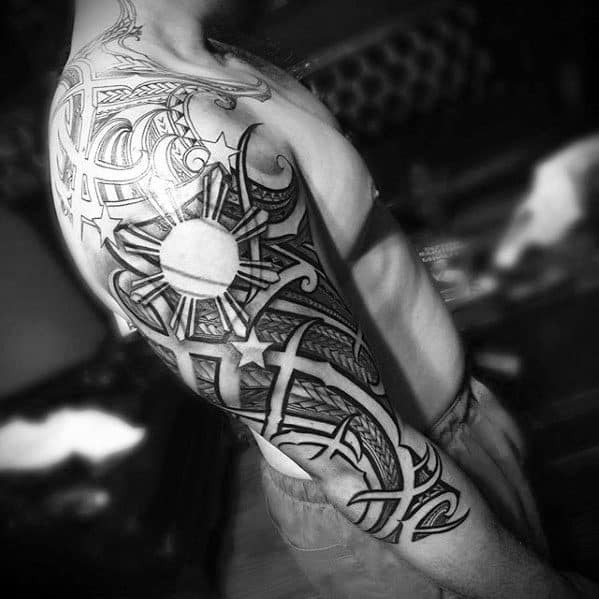 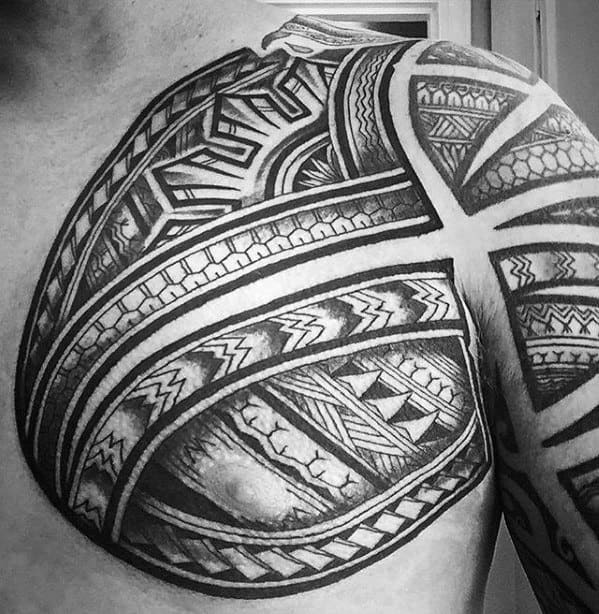 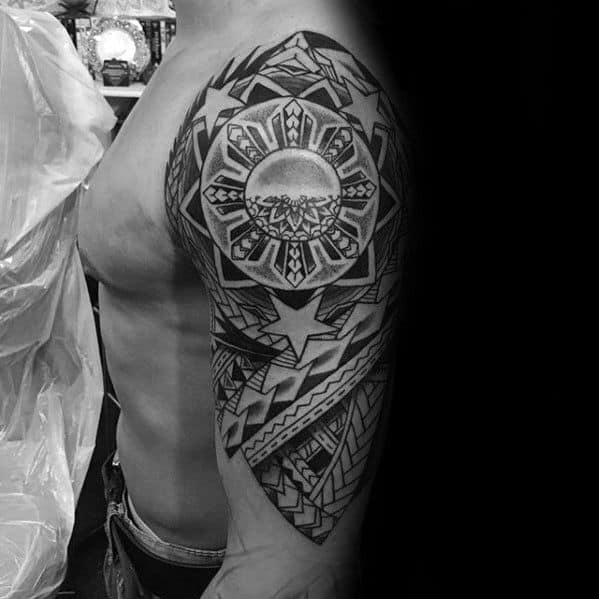 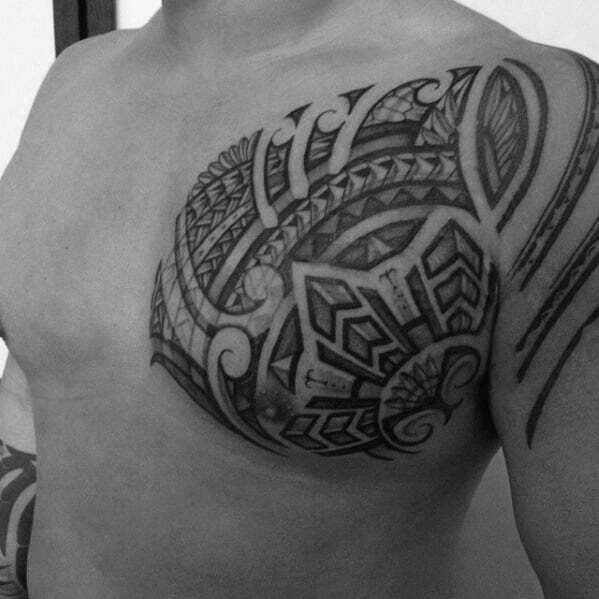 The shoulder, chest, and hand remain some of the most popular locations for these tattoos for men. 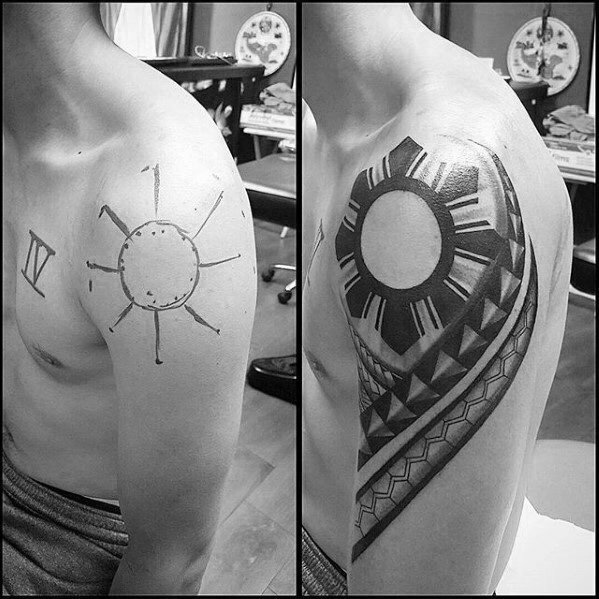 Not only do they look bold, but it gives you enough room to add some extra killer designs to it later down the road. 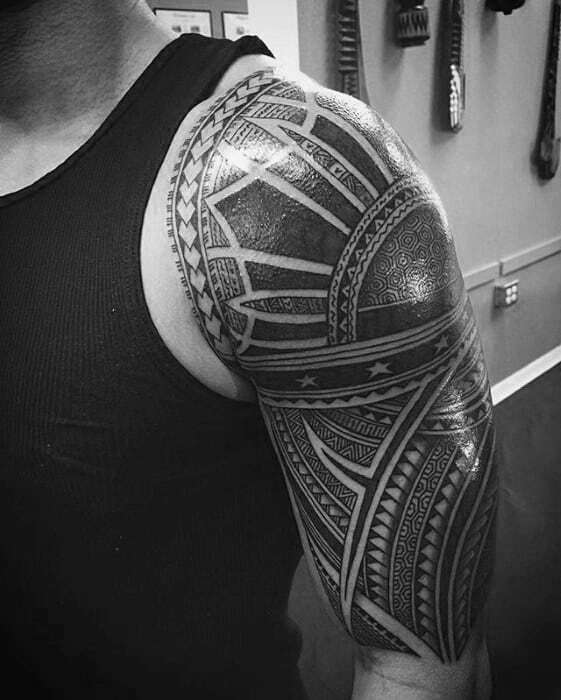 Black’s usually the go-to color choice for these. 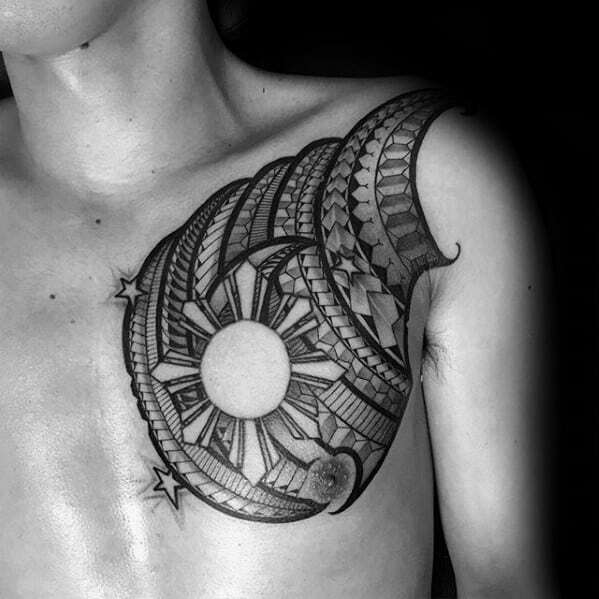 It’s eye-catching whether as just an outline of the sun or fully filled-in. 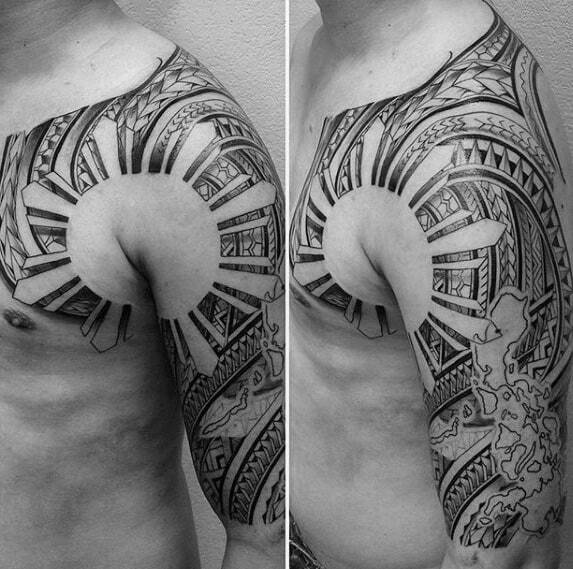 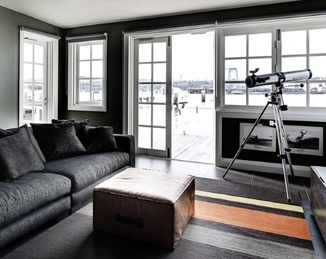 There are many places you can take this design.